Save dryland farmers - make agriculture possible in drought. Magasool (meaning "yield" in Tamil) is a 4 year old Tamil Nadu based not-for-profit trust that is helping 1200+ small and marginal farmers and farm workers in over 60 Tamilnadu villages in improving their incomes and nutrition. Tamil Nadu has had below par monsoons many times in the last decade. In fact, 2016 witnessed the worst monsoons in the state in the last 140 years. At Magasool, we promote farming of crops that require less water but at the same time provide good returns to the farmer, such as pulses, millets, and groundnuts. We want to raise INR 20 lakhs by October 15th to continue supporting our 1200-strong farmer and farm worker community, especially towards growing less thirsty crops (pulses, millets, groundnuts). Every Rs.1 that you contribute is used to implement technology that generates Rs.4 in wealth through agriculture for the farmers! 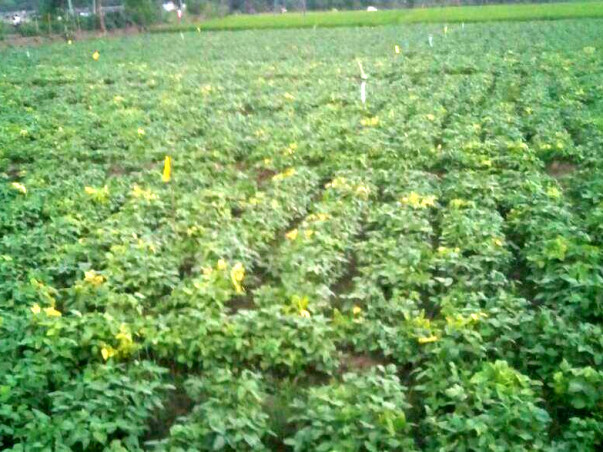 Magasool's cropping services act as multipliers and help generate stable incomes for farmers and farm workers. Help us free our farmers from poverty and drudgery this drought season, making agriculture a viable source of livelihood for their families. We support small and marginal farmers by providing mechanised cultivation, composting, soil testing, produce processing, and marketing services that help them reduce input costs, realize higher yields, and profits. Magasool also runs kitchen garden programmes to improve households' (especially children) diet and nutrition. We engage our employee base on education and policy initiatives, actively help rehabilitate them from alcohol abuse, and domestic violence. We recruit young farm help and farmers to train them on technology and business and make them self reliant. Finally, we aim to make Indian agriculture a part of India's growth story, and include the 75% of rural Indians in generating wealth. *Your Rs. 15,000 will help take efficiency increasing groundnuts and pulses harvesting technology to 5 farmers improving profits by Rs 10,000 per acre per farmer per season for 4 seasons. This income will go towards meeting their household nutrition needs, medical needs, and educating their children. *Your contribution of Rs 10,000 will help us provide 30 farmers with high quality pulses seeds that double yield. 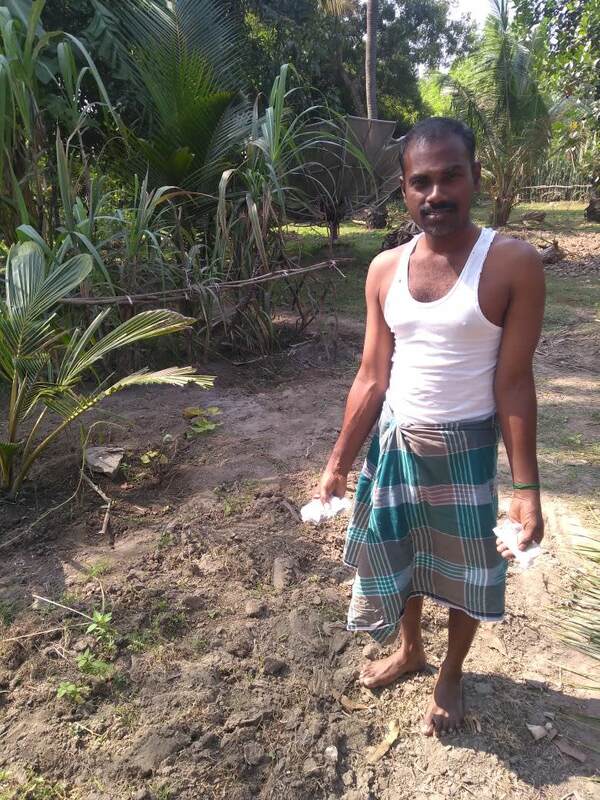 *Your contribution of Rs 6,000 will help two farmers scientifically manage their farm soil and increase profits by Rs 5000 per acre per season for 4 seasons steadily helping them to pull themselves out of poverty. 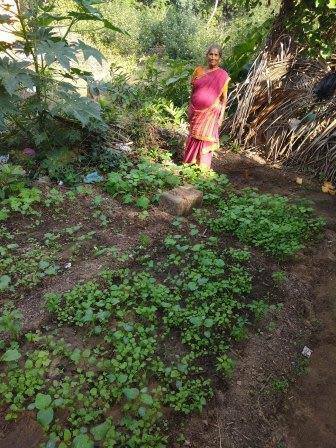 *A donation of Rs 2,500 will support an organic kitchen garden program for 50 households (including children's) complete nutrition needs from vegetables for 3 months. Groundnuts require much less water than paddy or sugarcane and give 20% higher profits to farmers. 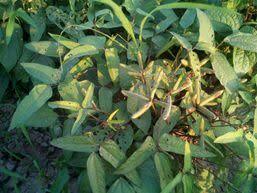 They also help restore soil fertility when used as a rotation crop. 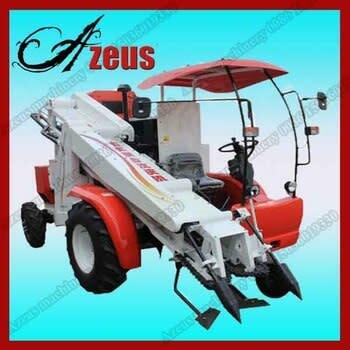 Due to risk aversion and lack of capital, small farmers are unable to make investments in modern sowing and harvesting equipment. This results in enhanced drudgery and sub optimal cropping decisions. 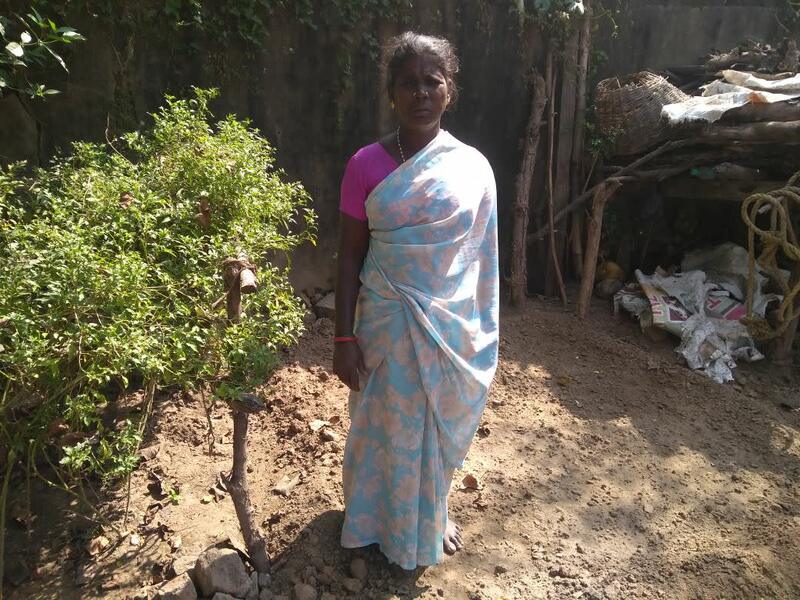 Farmers in many parts of Tamil Nadu are choosing to either not plant groundnuts (or reduce acreage) due to non availability of manual labour at the time of harvest. We request 12 lacs (additional will be raised through CSR) to procure seed drills and high quality transplantors and provide sowing and harvesting as a service to more than 200 small farmers (250 farmers in Year 1 and 350 farmers in Year 2). Our solution is expected to increase productivity by more than 30%. This will lead to farmer profits go up by more than Rs 10000 (ten thousand) per acre. The productivity of pulses is extremely low in India. Much of this can be attributed to poor quality seeds and improper cultivation methods. 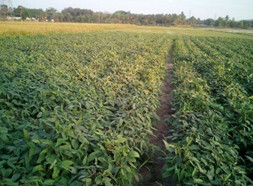 The National Pulses Research Center (http://sites.tnau.ac.in/trri/nprc) at Vamban has developed a number varieties with improved yield, however the adoption of these varieties by farmers is low. We propose to work with the National Pulses Research Center and the National Agro Foundation to setup seed farms for pulses in Thanjavur and Theni Districts in partnership with local farmers. High quality seeds will be harvested and supplied to 50 farmers in Year 1 and more than 350 farmers in Year 2. 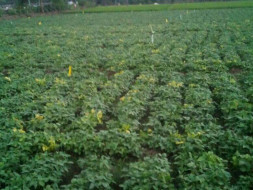 The high quality seeds have the potential double pulses yields and therby raise farmer profits by 100%. We request support of INR 1lakh for procurement of foundation seeds and field expenses. 3. Soil test based nutrition management – “Soil Degradation is one of the biggest challenges in increasing farm productivity. Hence agriculture must be brought back to its roots by emphasizing on the importance of soil health through natural sources of plant nutrition and judicious use of mineral fertilizers.” Agriculture Department Policy Note, Demand No. 5, 2014-15. There is need to develop cost-effective and scalable models of intervention to provide intensive farmer support via a combination of agriculture extension infrastructure + IT-enabled information campaigns + demonstration plots to encourage adoption of soil nutrient management practices. We request INR 1.5 lakh to expand the nutrition management pilot to 100 farmers by March 2018. We expect nutrition management to increase yields and profitability by 20-30% for farmers (Rs 5000 to Rs 7000 per acre). Marginal farmers with little or no landholding often cut down on vegetables when they face economic hardships. Vegetables often show huge seasonal variations in price, leaving farmers and labourers with no choice but to forgo including them in their diets. Children and women are especially mal-nourished, and pregnant and lactating mothers receive inadequate nutrition. 39% of India’s children under 5 years of age are stunted and a large fraction of pregnant and lactating women are anemic. Magasool solves this problem by distributing vegetable seeds, manure and providing assistance in setting up kitchen gardens around homes. We have seen that gardens increase vegetable access for poor farmers and labourers significantly. 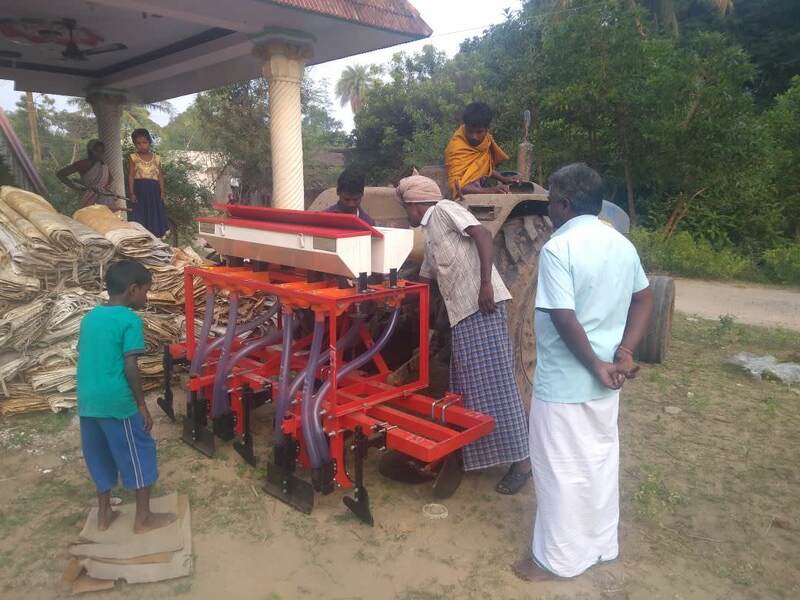 We will distribute seeds for at least 10 to 12 types of vegetables, and help at least 1500 poor rural households in Tamil Nadu between October 2017 and January 2017 to prepare vegetable gardens to meet their nutrient needs. We request Rs 1lakh for procuring seeds and partial salary support for staff. 5. Modified System of Rice Intensification (MSRI) through mechanized transplanters - The main advantages of MSRI are –(i) The nursery is transplanted when the saplings are young, anywhere between 12 to 18 days decreasing the disturbance to roots as well as allowing time for higher tiller growth. This leads to robust foliage growth, (ii) Increased distance between plants in SRI allows for better access to sunlight and more space for root growth. Between May 2012 and July 2017, the program has reached more than 600 farmers in Trichy, Cuddalore, Kanchipuram, Theni and Thanjavur districts. Most farmers have reported yield increase of 10 to 20 % resulting in an increased income of anywhere between Rs 2500 to Rs 5000 per acre (translating to more than 30% increase in profits). We request a total of INR 4.50 lakhs for 2 new transplanters which will let us continue providing services to beneficiaries in an uninterrupted manner. We will share the necessary details. Magasool is closing the 2017 fund raising campaign. Thank you very much for your support. We will be starting a new drive on July 10th. Good Morning,Wish you a very happy Sankaranti, Pongal and Lohri - festivals celebrating the first harvest of the year. We are extremely please to share that the kitchen garden program is on track. Seed distribution is complete in Thiruvannamalai and in progress in Kalpakkam. Work will start in Salem and Cuddalore after Pongal. We have a had a good response in Kalpakkam in our attempt to improve ground-nut sowing and harvesting. The mechanized sowing keeps the spacing between plants uniform and has the potential to increase result by 10%-15%. Great initiative. Hope that our farmers are benefitted even more by your relentless efforts and may this spread more and more to various corners of TN and our country.